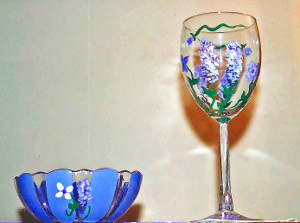 Clearly Susan's hand painted ice water tea glasses in Purple Wisteria design looks as if the wistful purple flowers are swaying in the breeze. This was one of our very first designs and it is still popular. 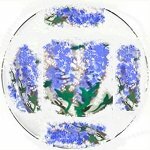 Custom order to match or compliment any china pattern. 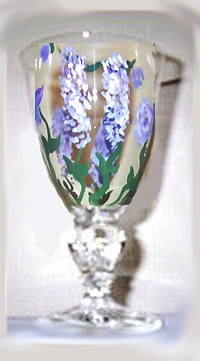 Our hand painted ice water tea glasses make a lovely gift for a new bride especially with matching place settings and serving pieces.